Etymology: The cultivars name "Cactus Art" derives from the name of the nursery where this cactus has been found and cultivated for the first time. 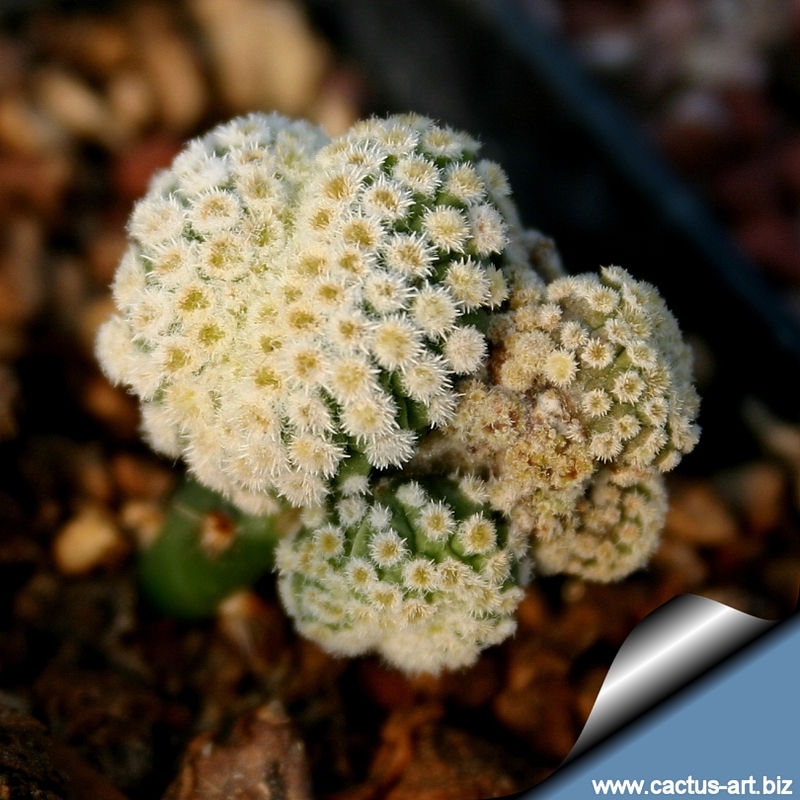 Note: This brand new cultivar has been originated in Cactus Art Nursery, the mutation came out spontaneously among hundred of typical plant in the spring of 2004. Photo of conspecific taxa, varieties, forms and cultivars of strombocactus disciformis.